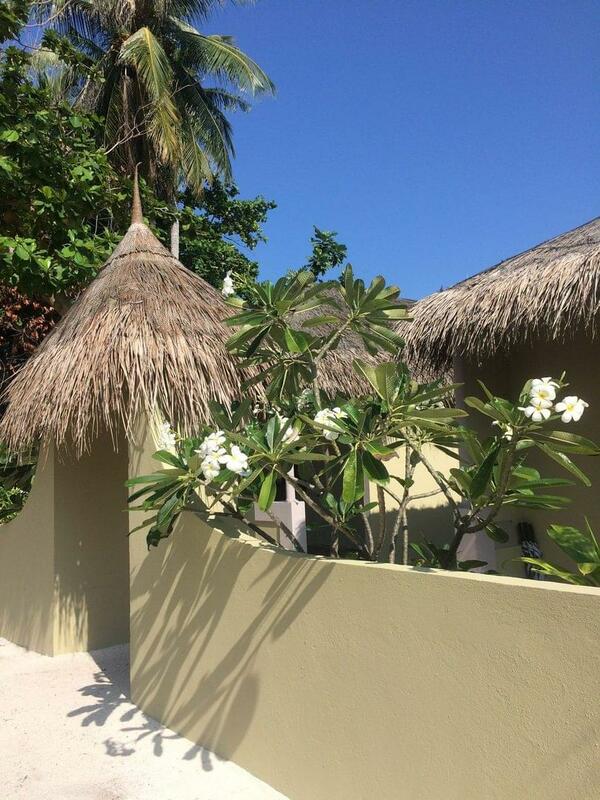 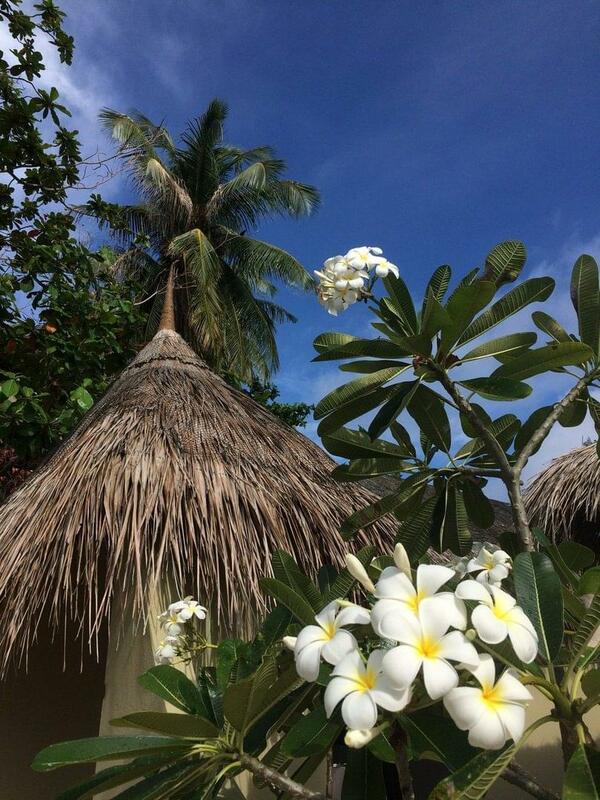 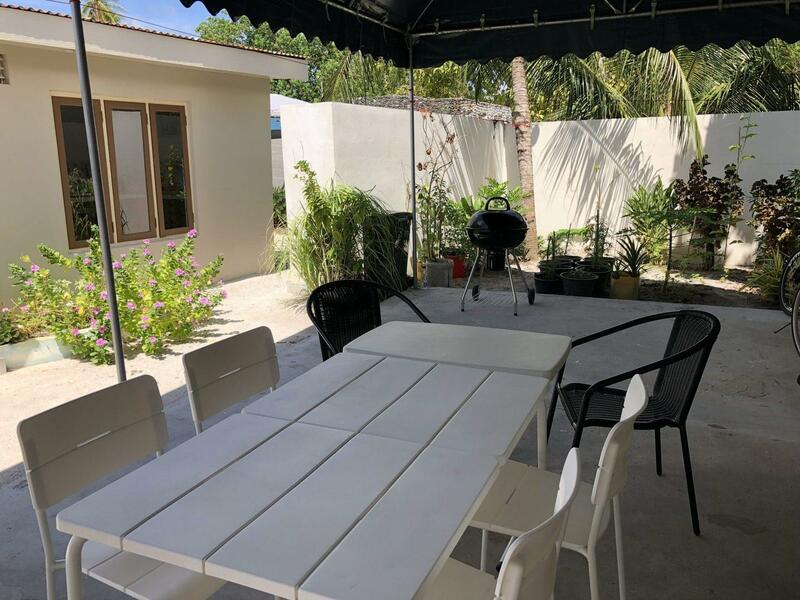 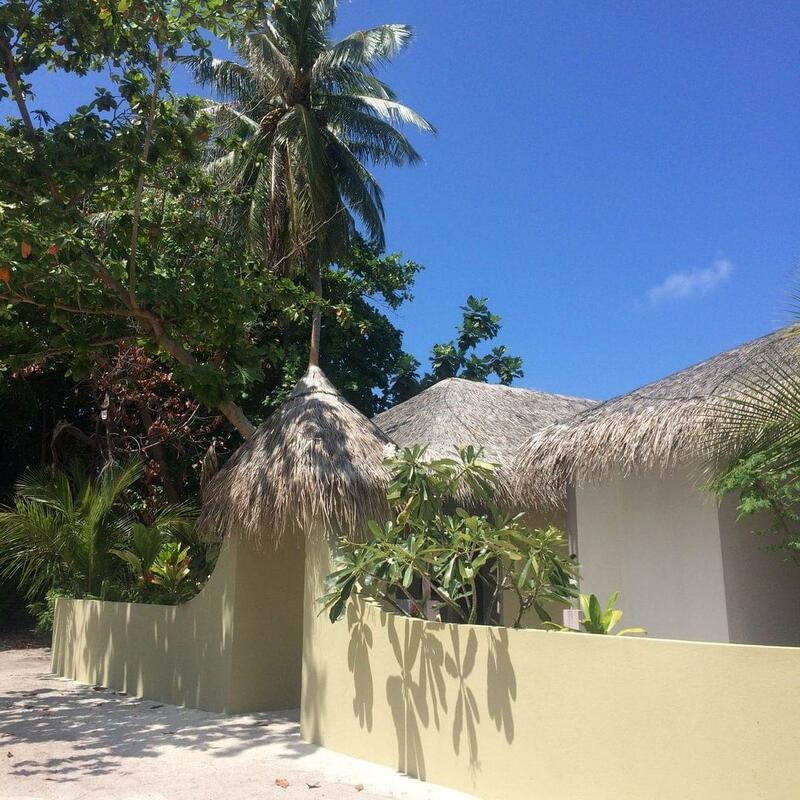 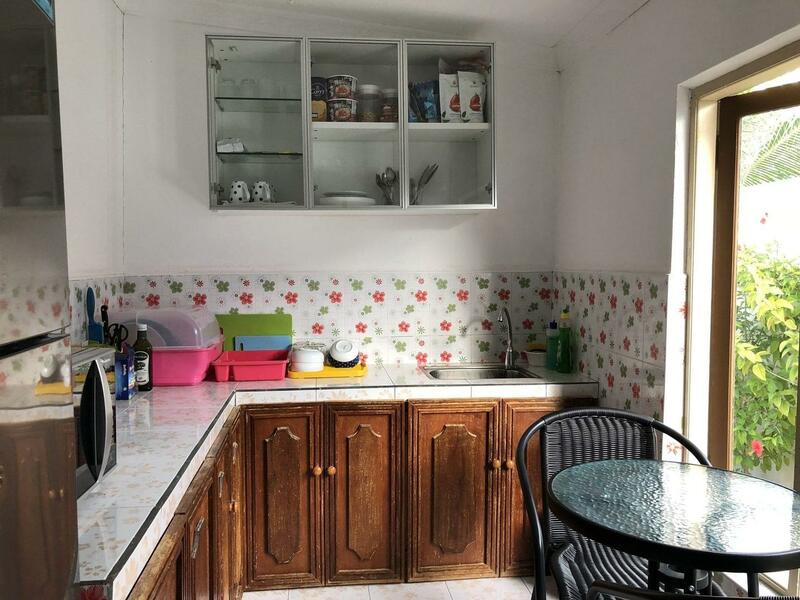 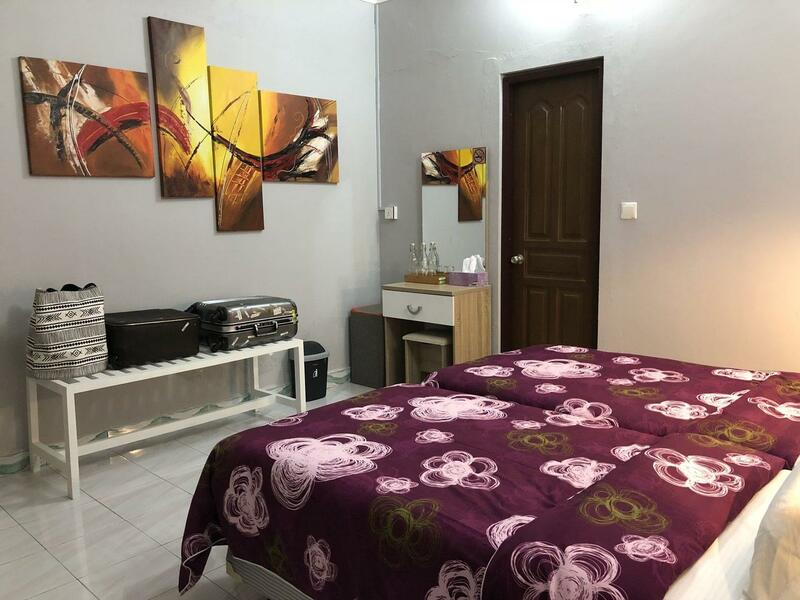 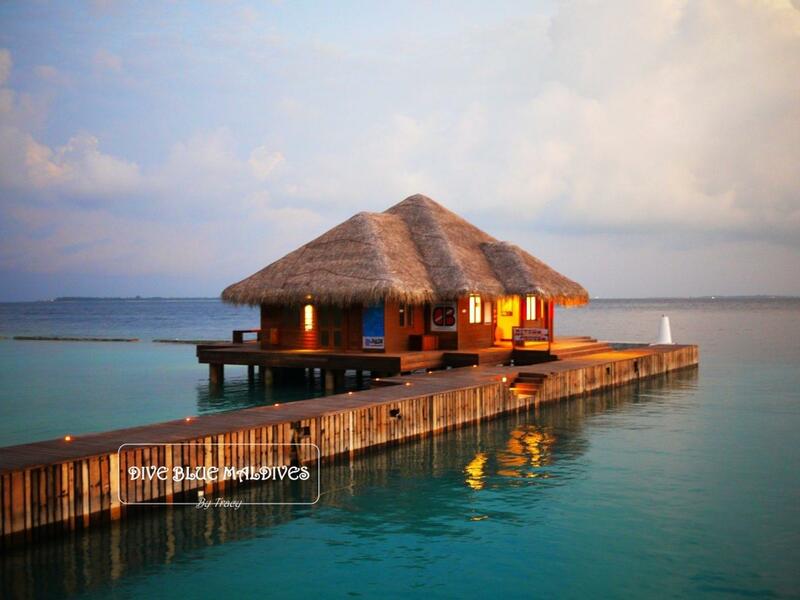 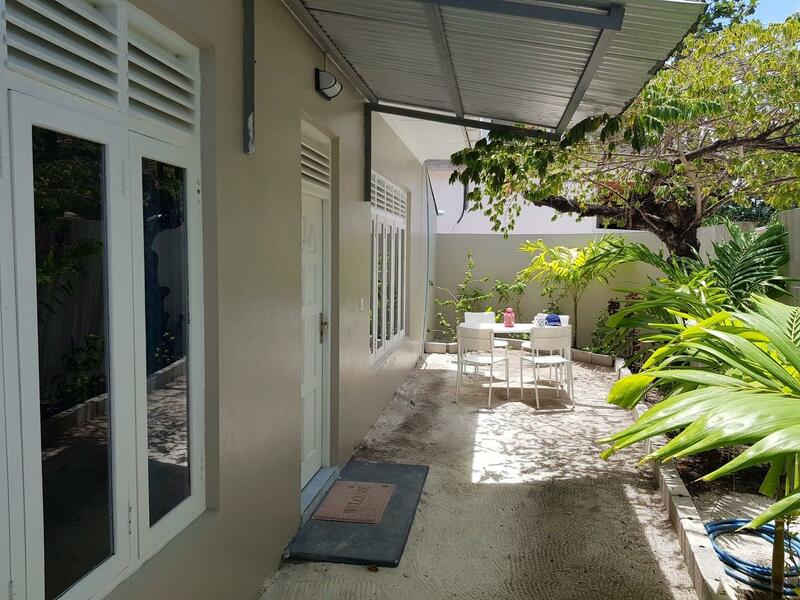 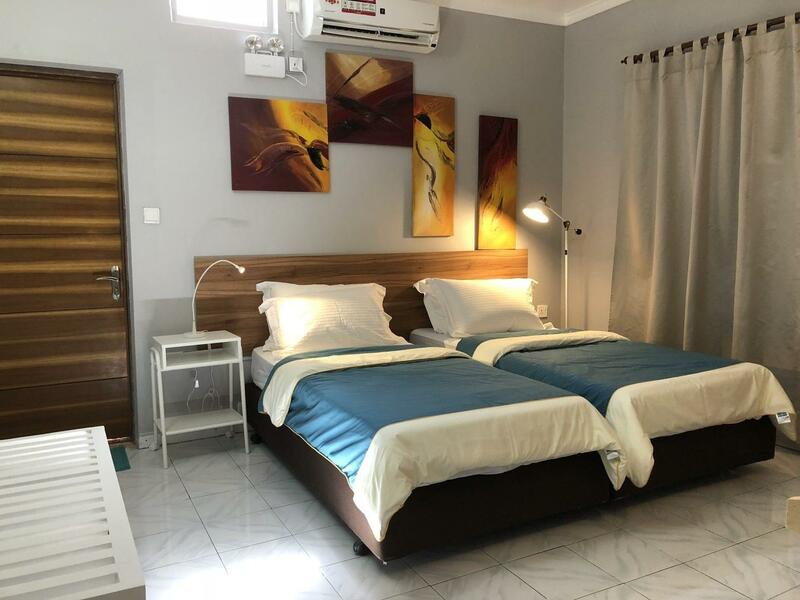 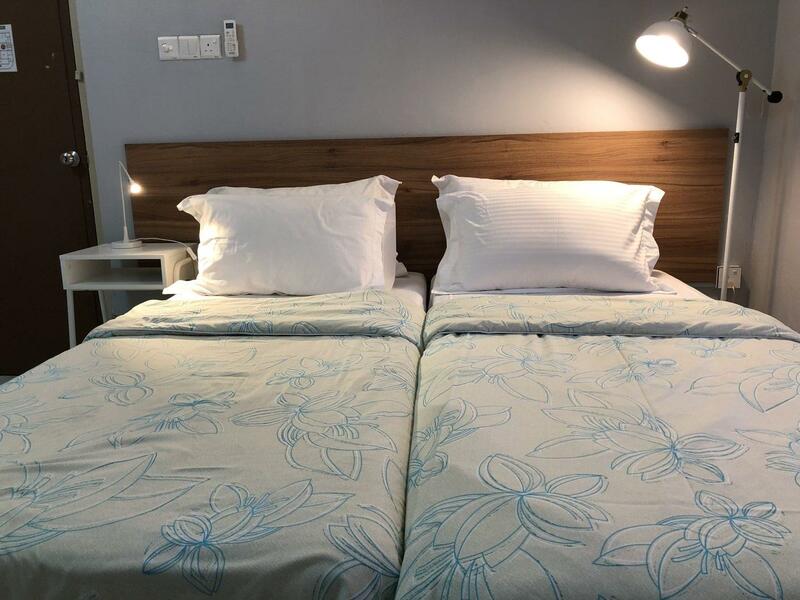 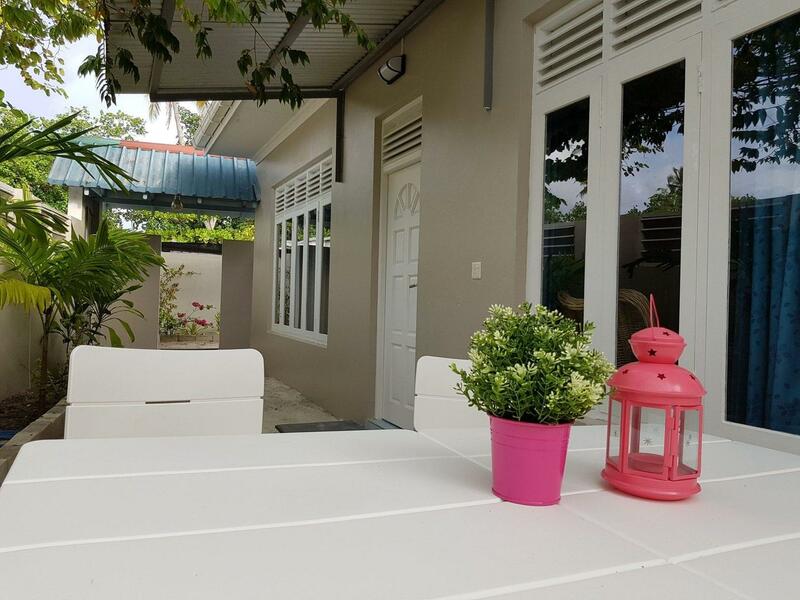 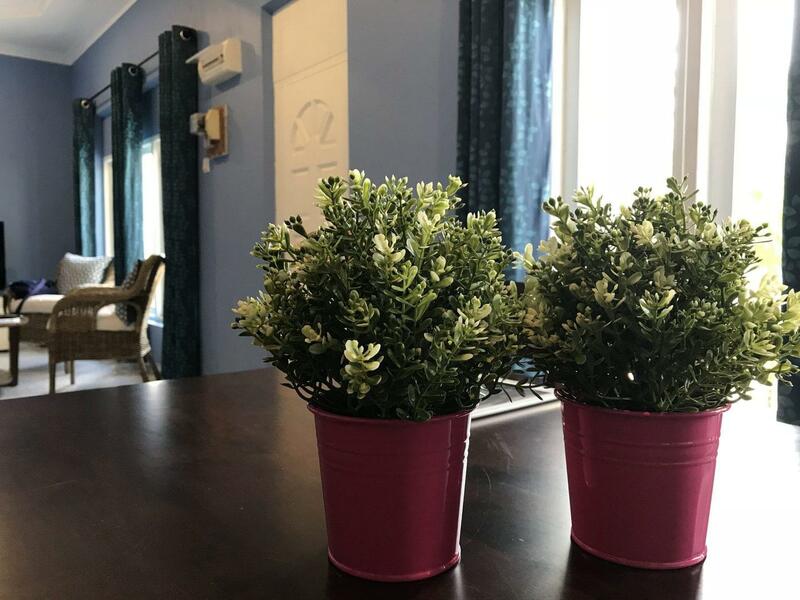 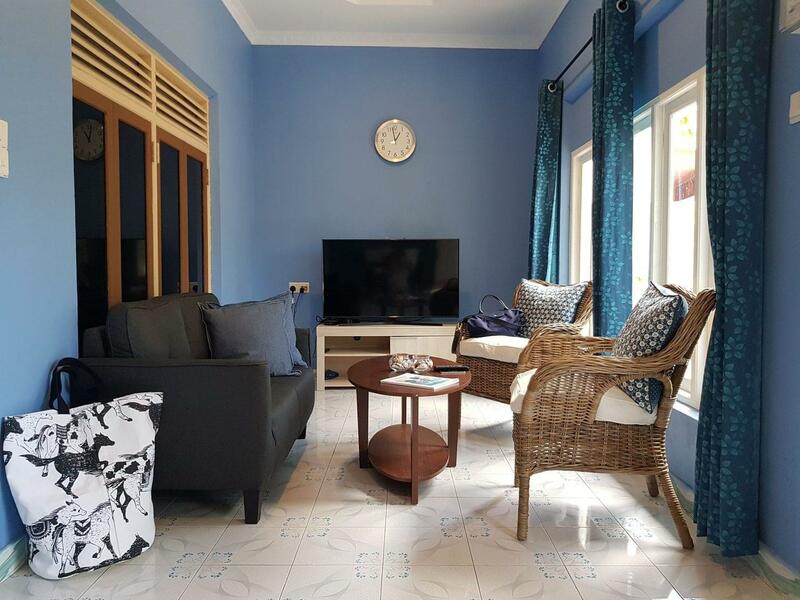 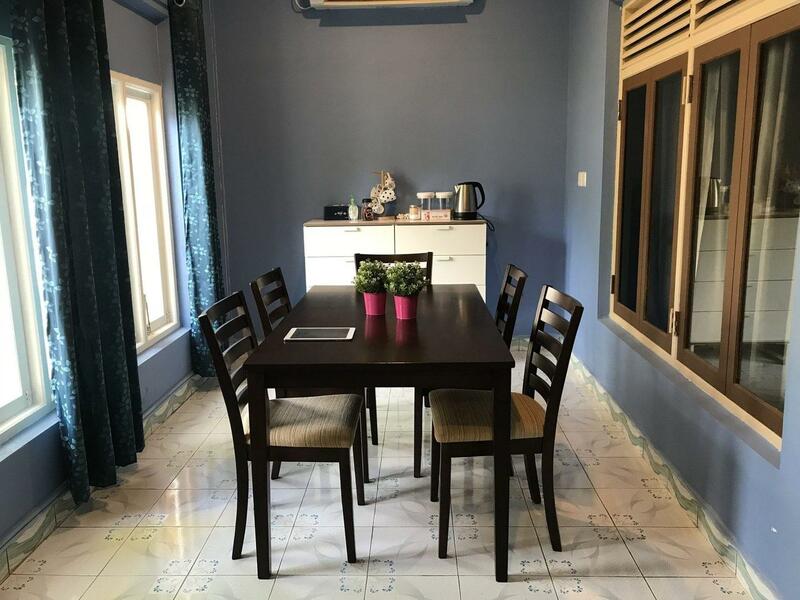 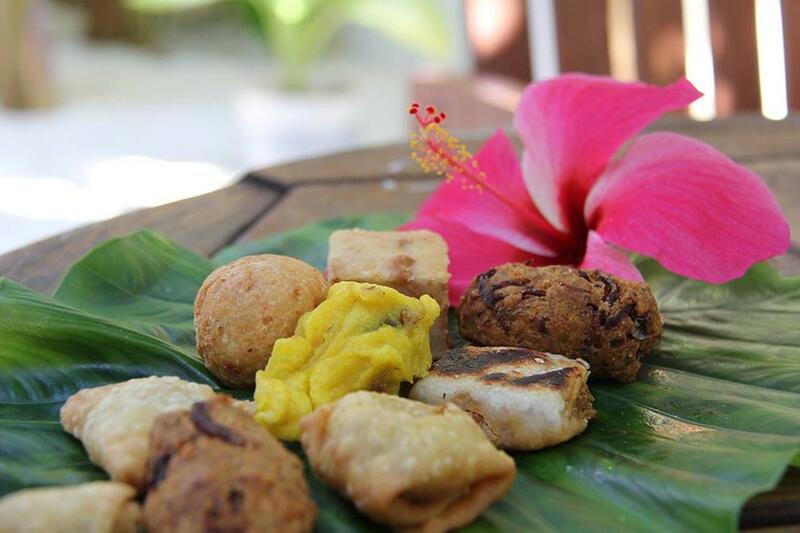 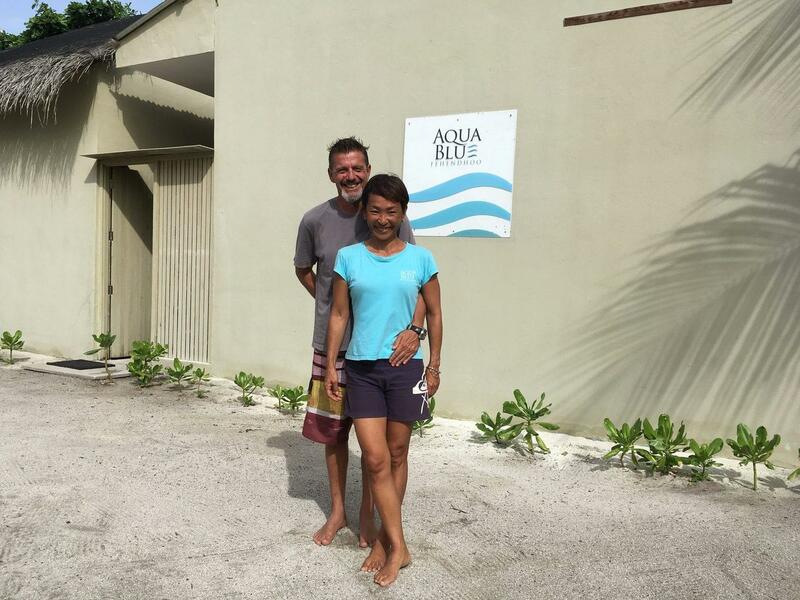 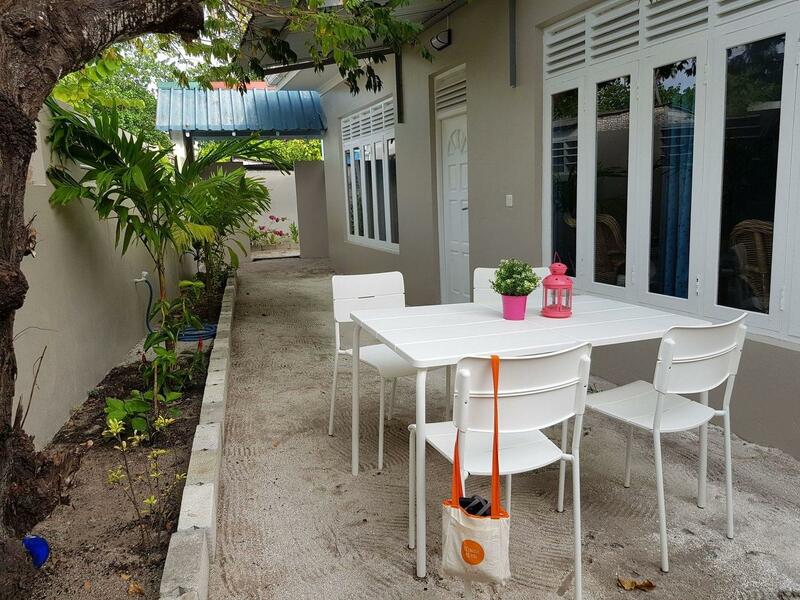 Holiday Home @ Dhigurah Dive Blue is a small guesthouse on Dhigurah Island, 4 minutes walk from the beach. 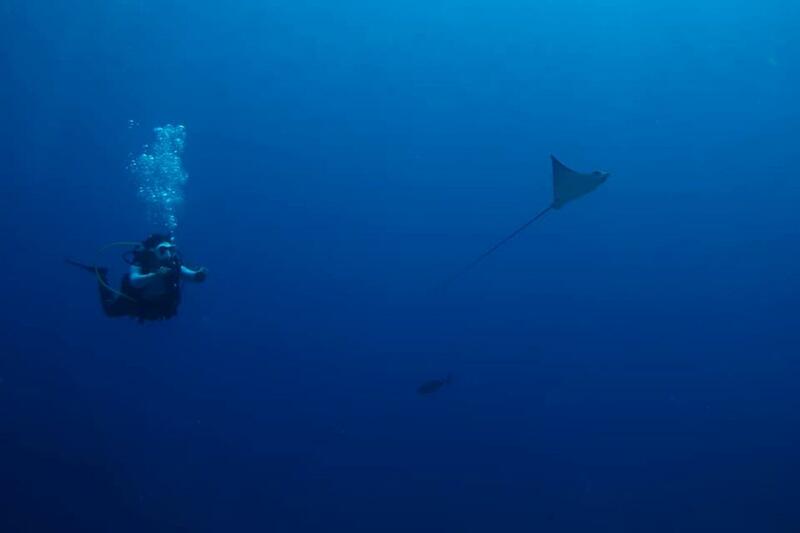 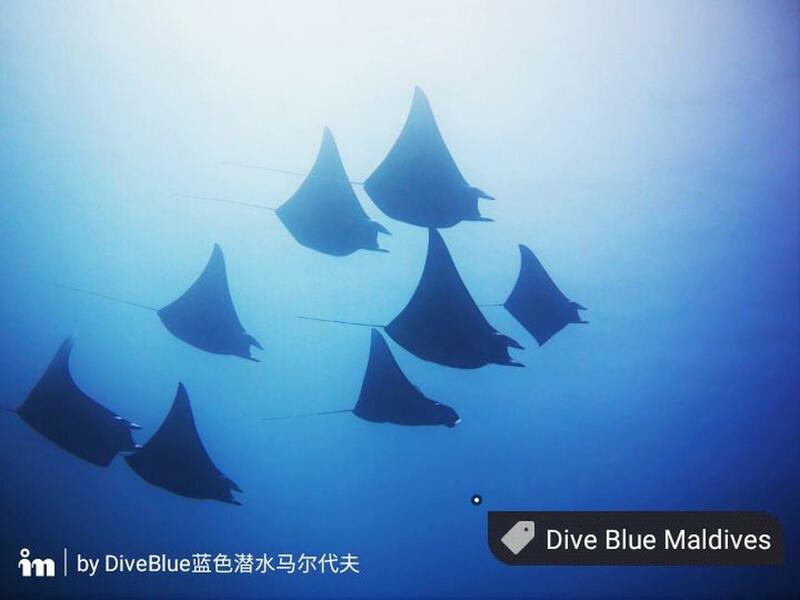 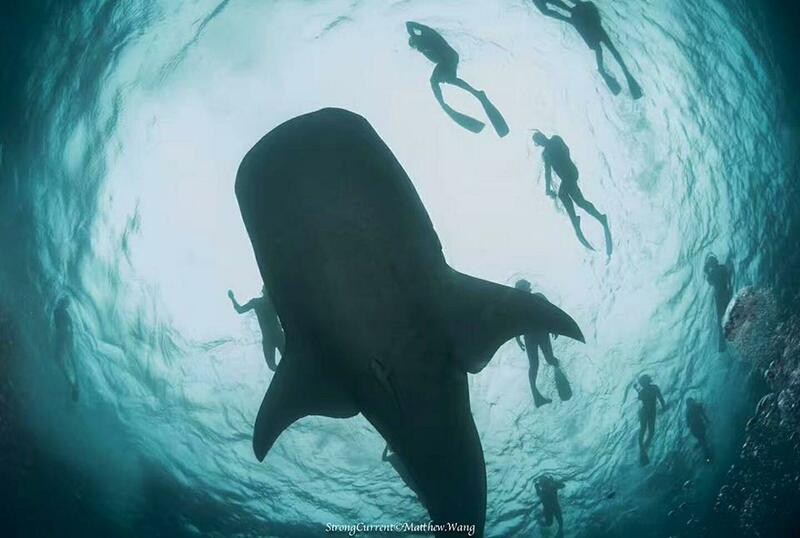 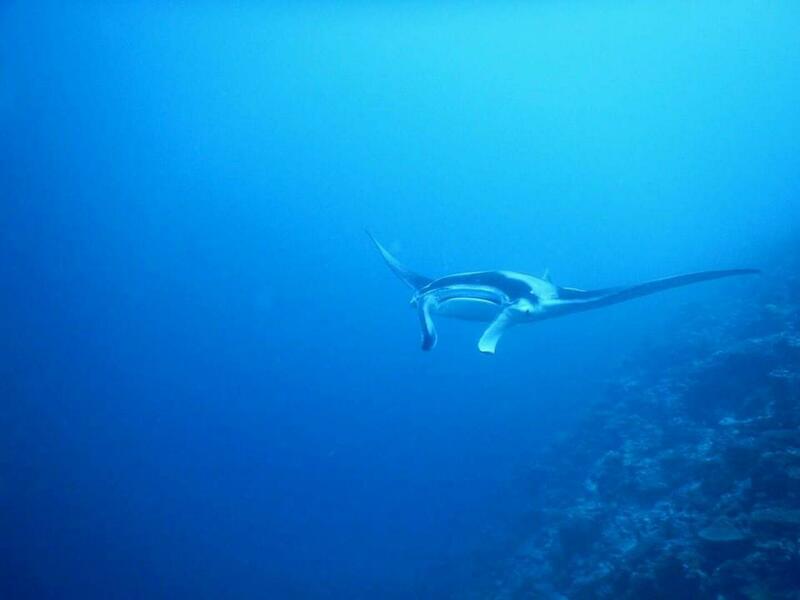 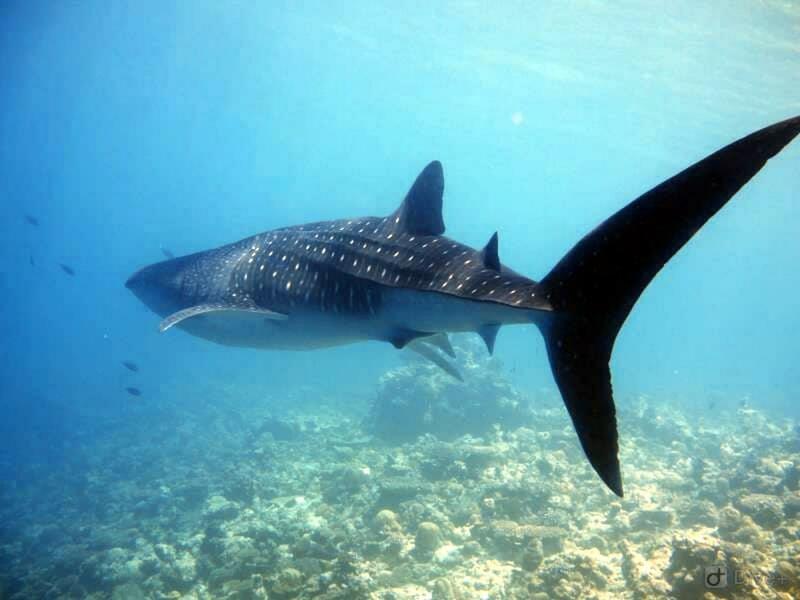 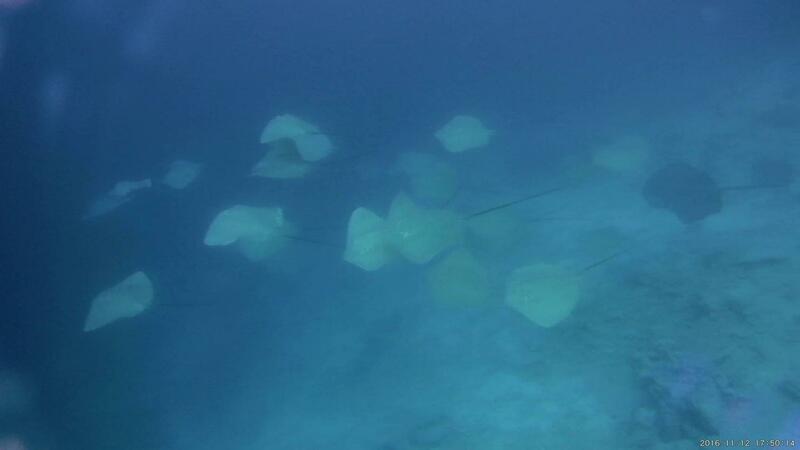 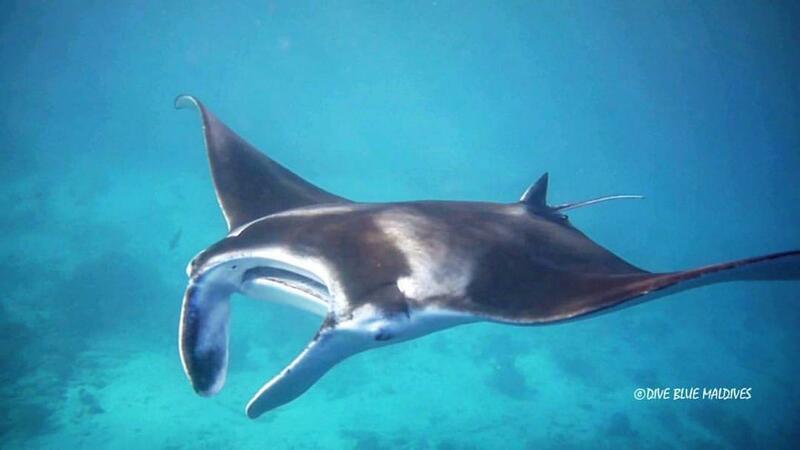 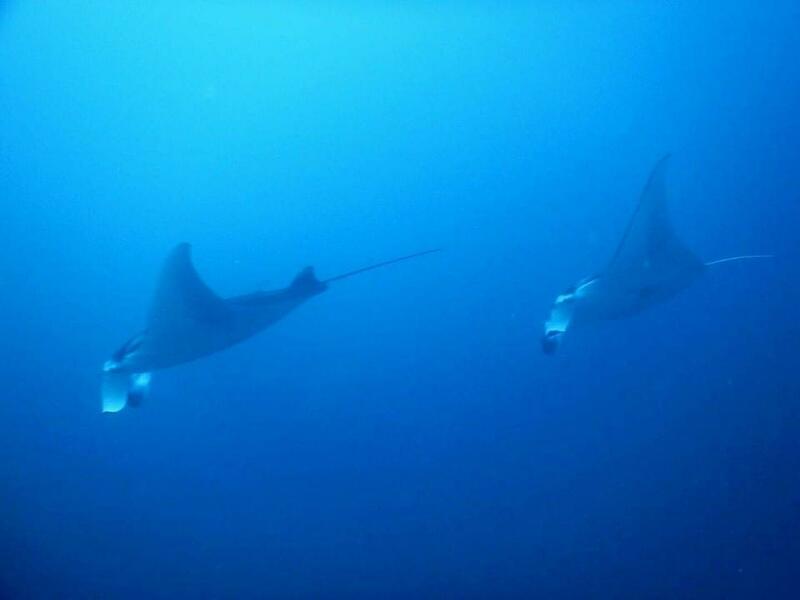 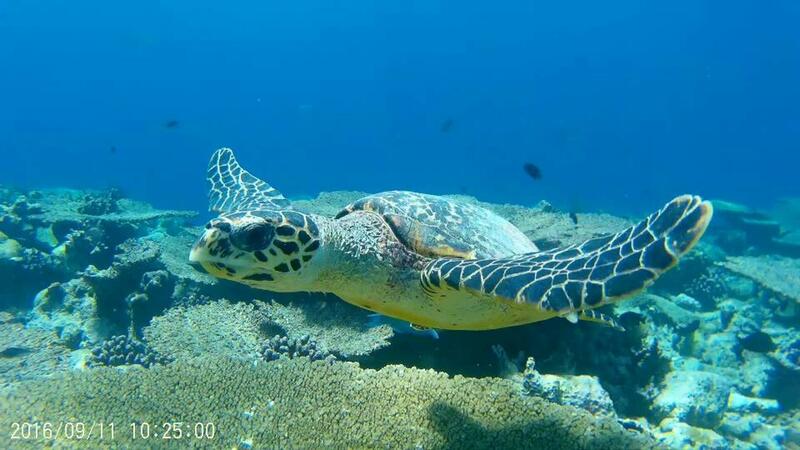 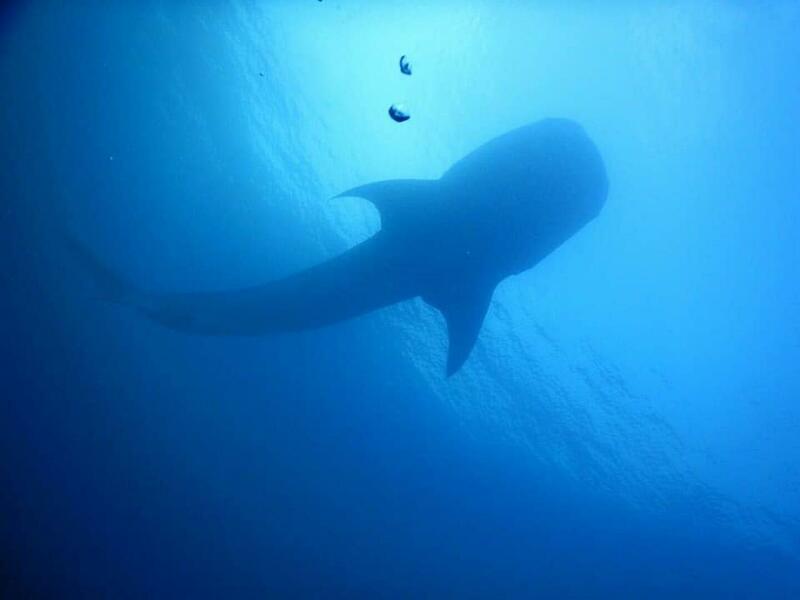 The South Ari Marine Protected Area offers famous dive sites for mantas and whale sharks. 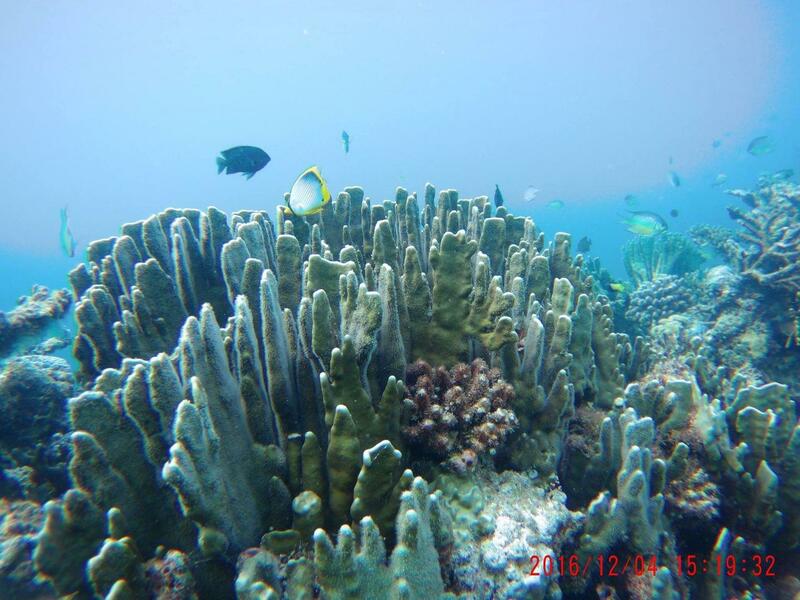 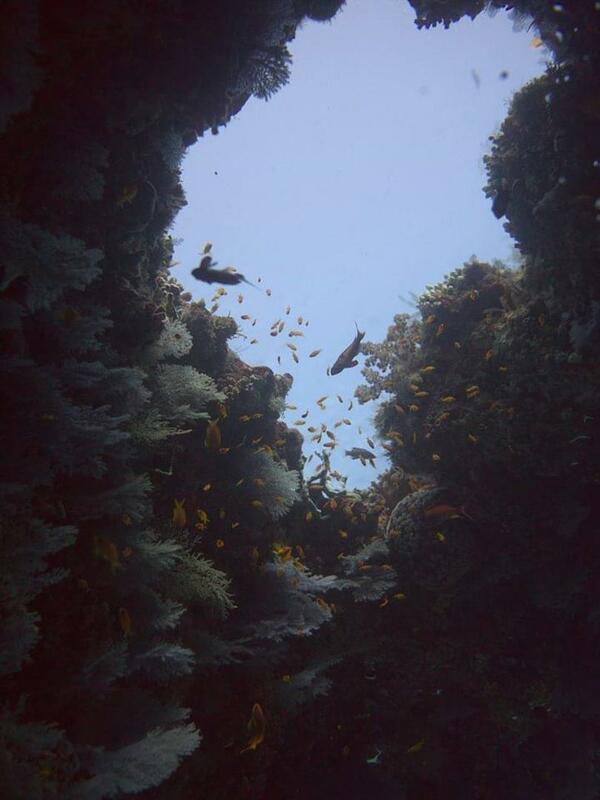 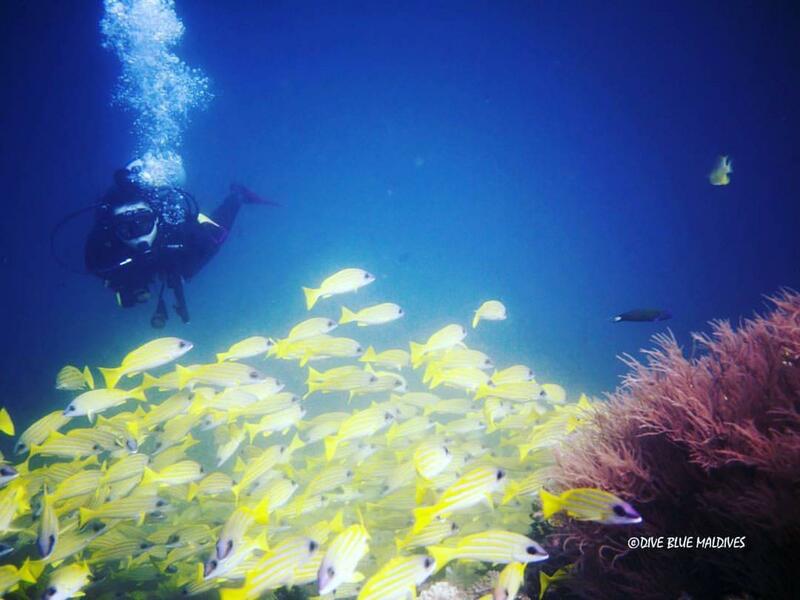 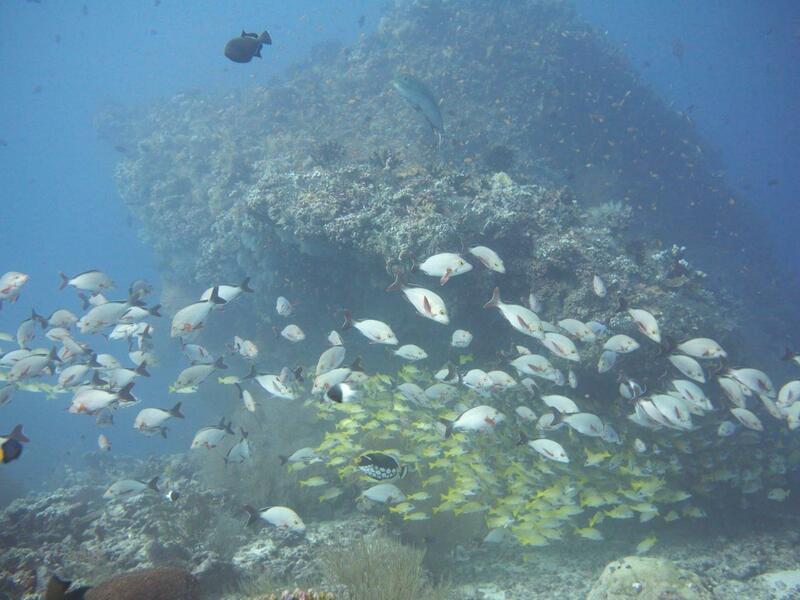 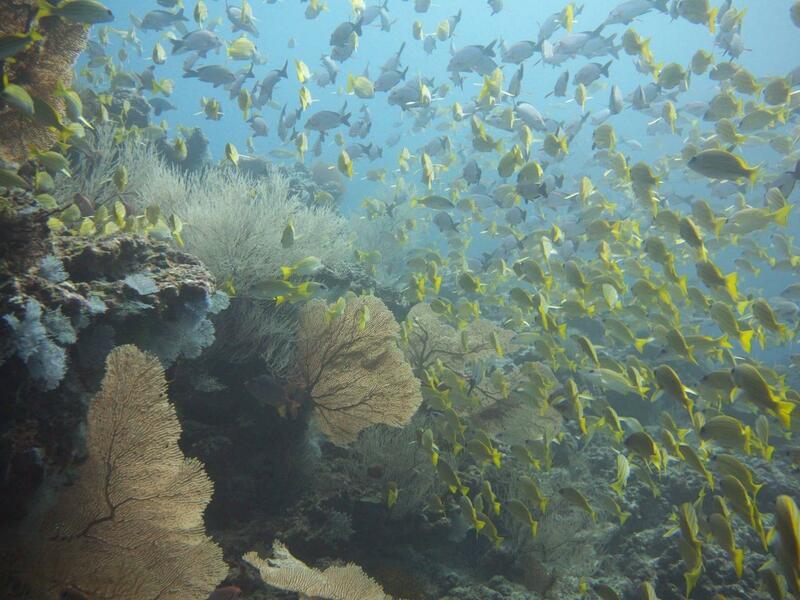 Over 40 biodiverse reefs, wrecks, wall dives and pinnacles set the scene for drift and shark diving. 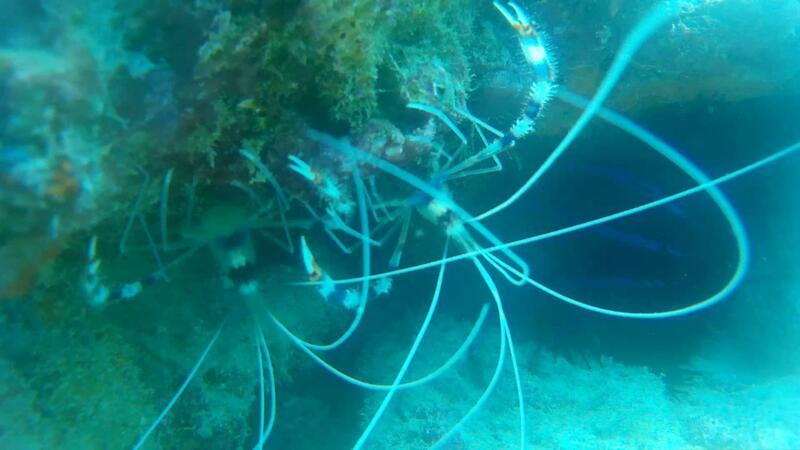 Macro creatures include leaf fish, ghost pipefish, frog fish, nudibranchs and more. 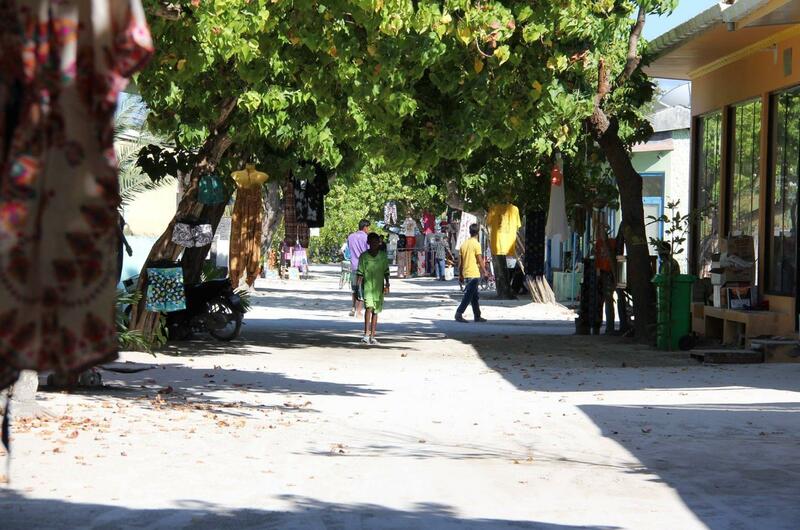 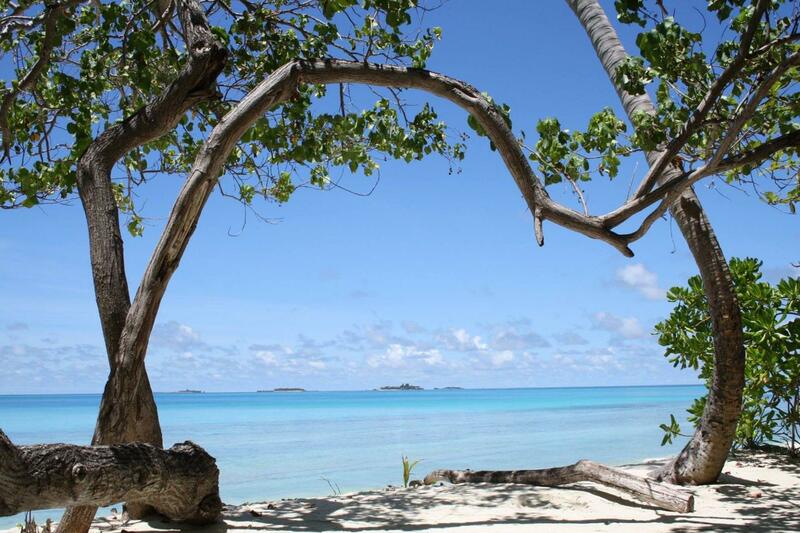 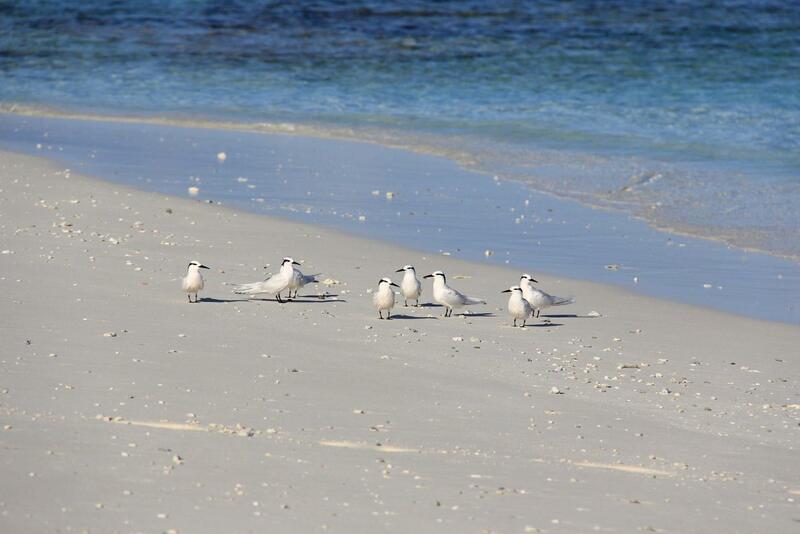 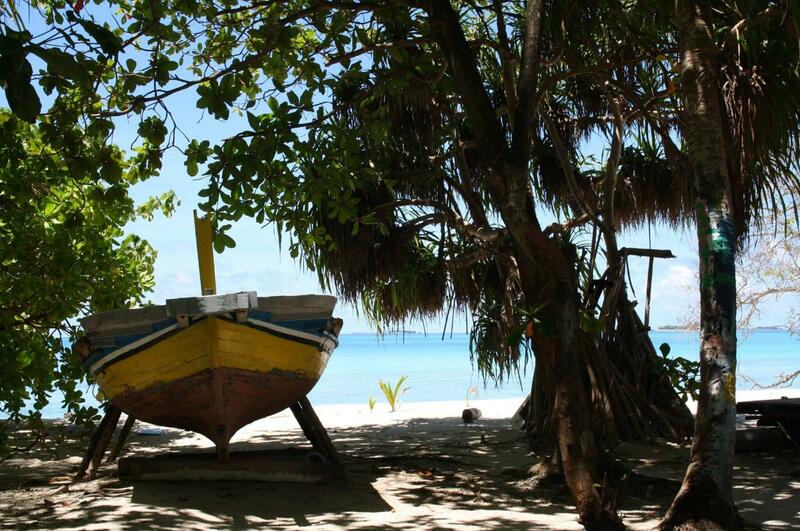 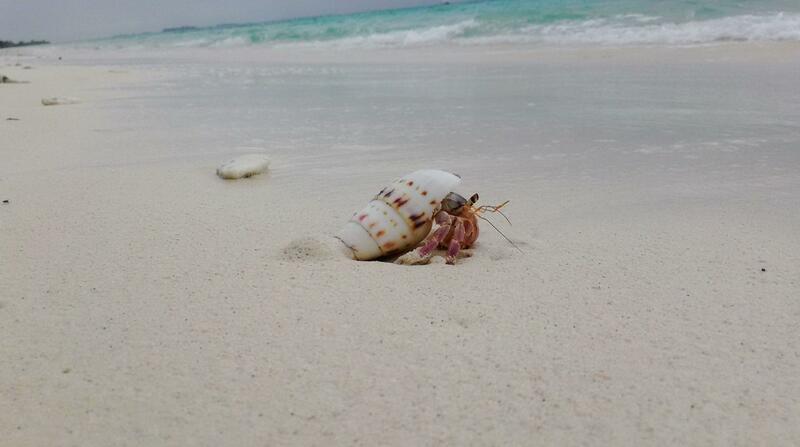 The island is a long (3.2km) stretch of white sand home to around 600 locals. 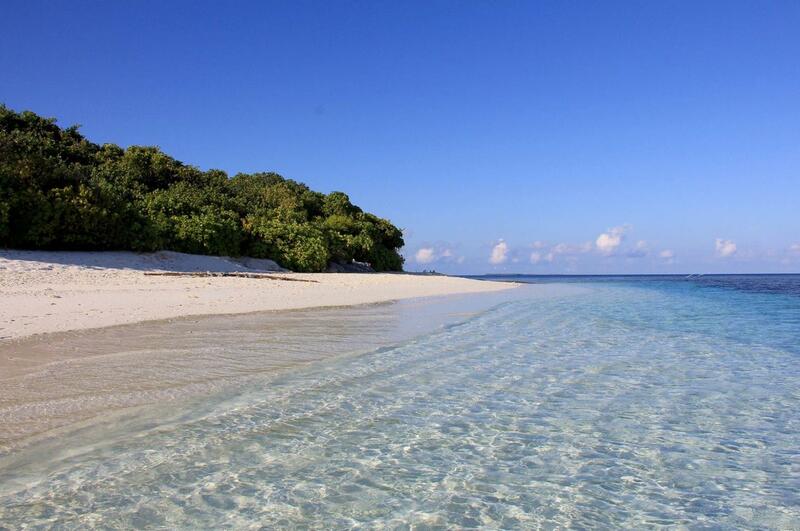 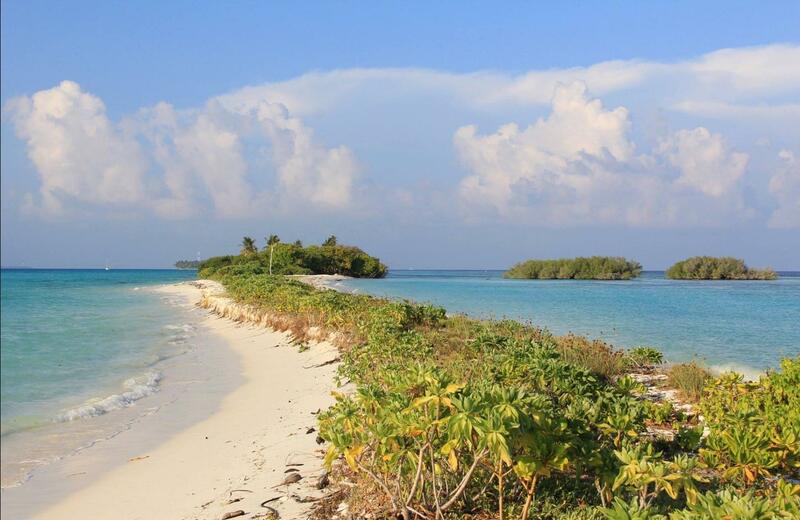 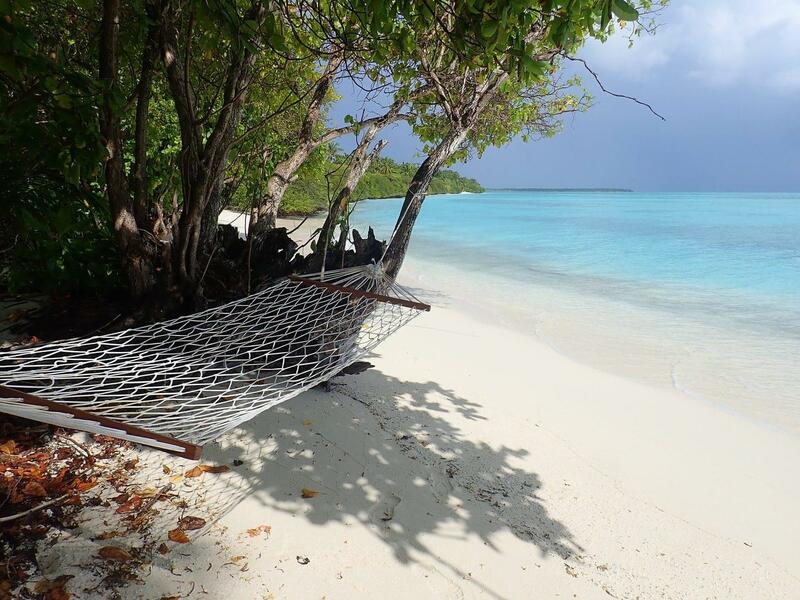 The interior is filled with white sandy pathways and Maldivian vegetation. 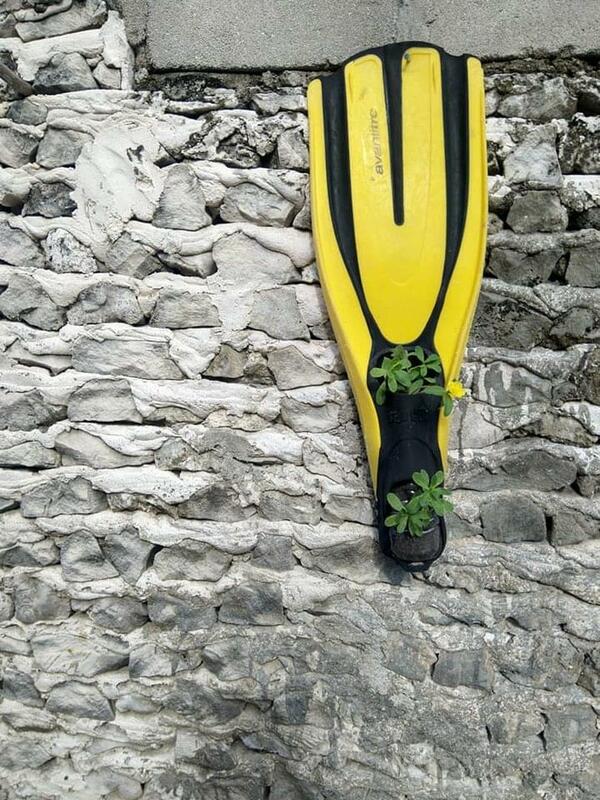 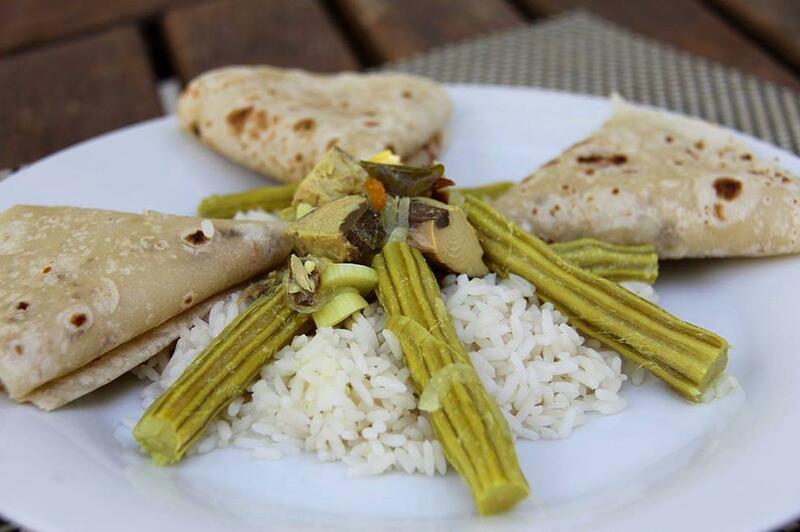 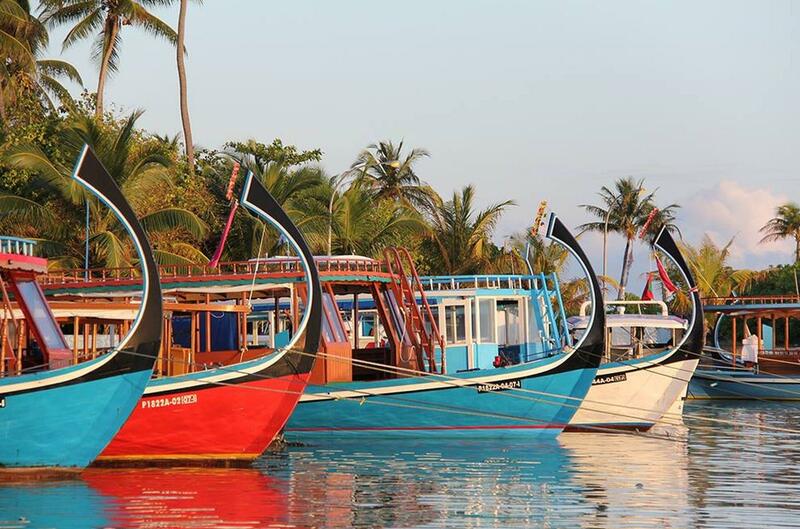 Walking tours, movie nights, water sports, cycling, canoeing, cooking lessons and fishing trips are offered. 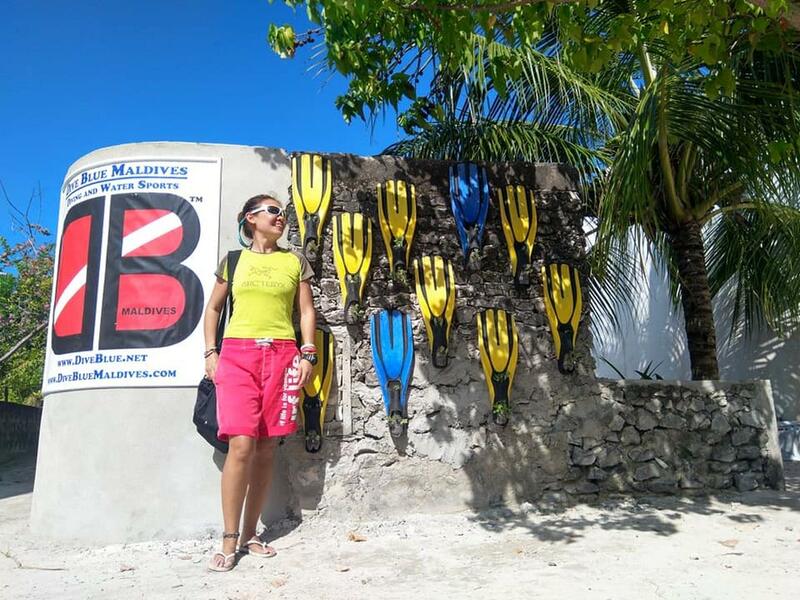 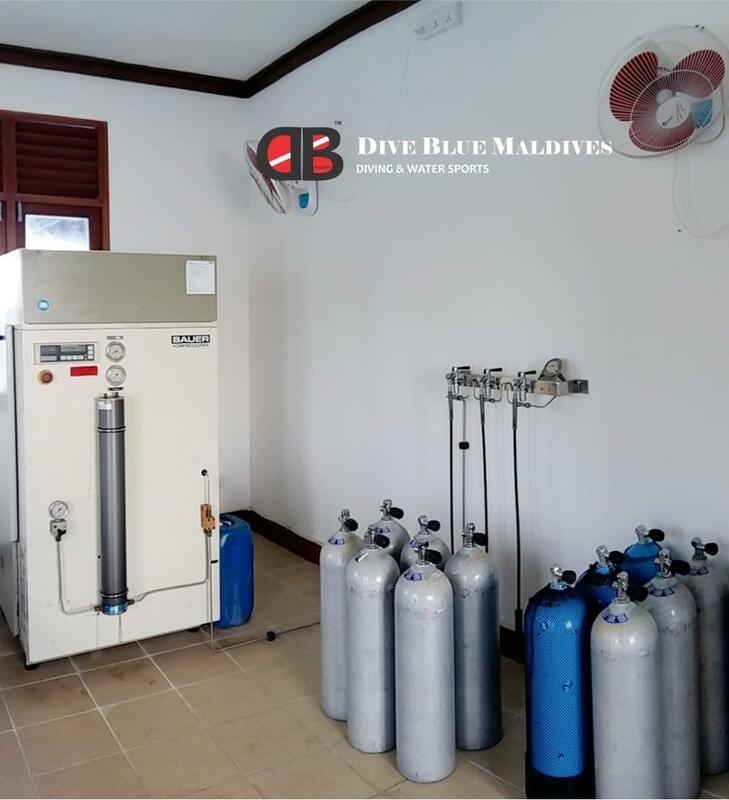 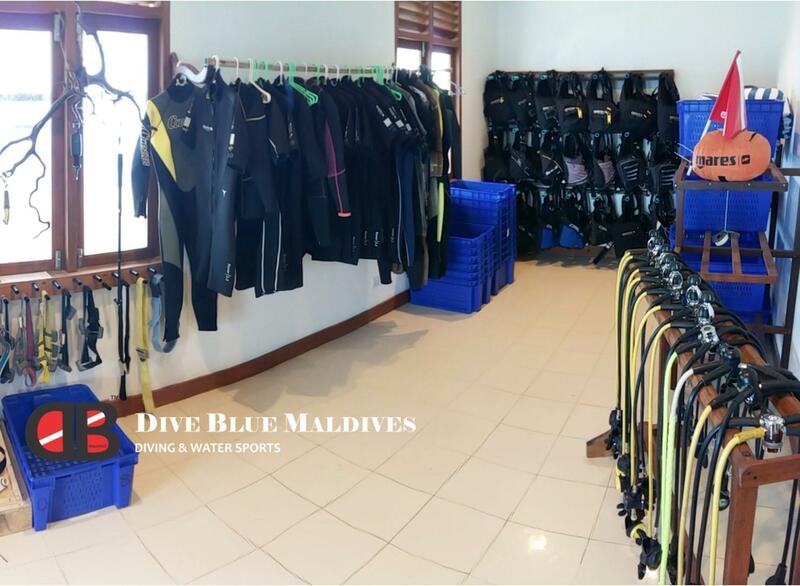 Dive Blue Maldives is an over water dive shop situated in the heart of South Ari Atoll. 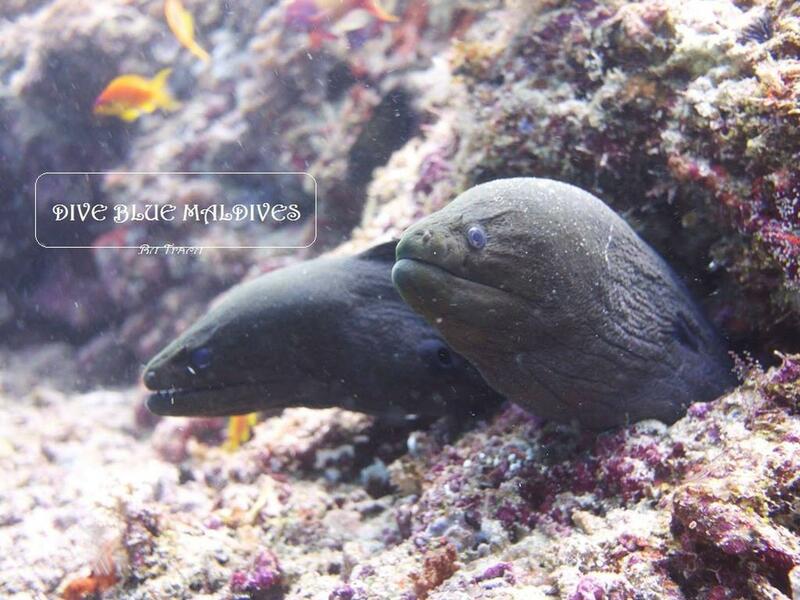 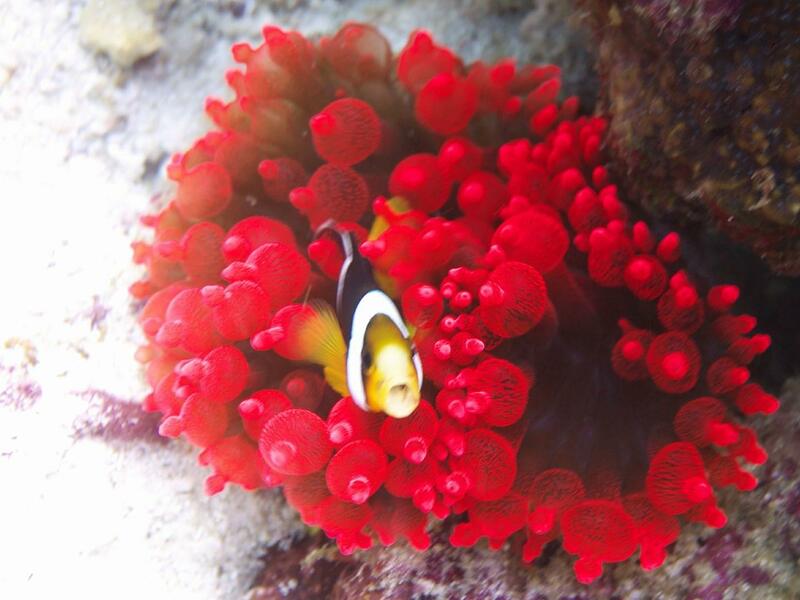 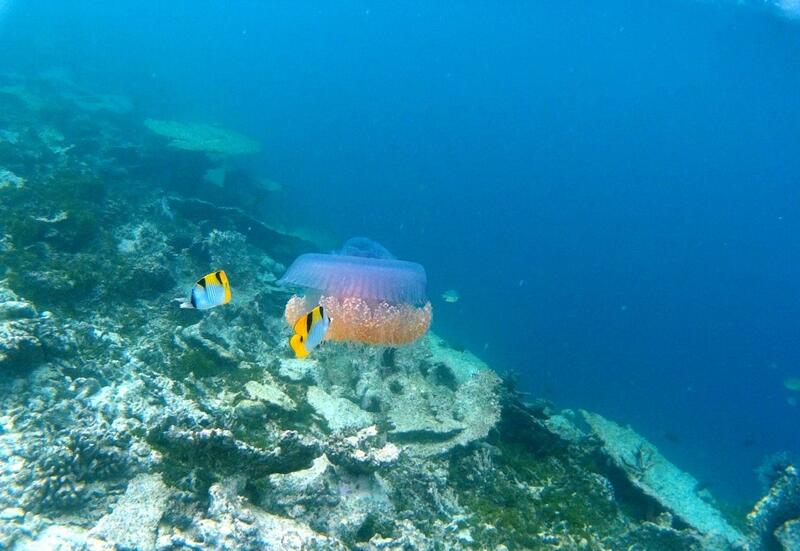 The dive shop is close to over 40 dive sites, home to reef fish, macro life, wrecks, pelagics, rays and sharks. 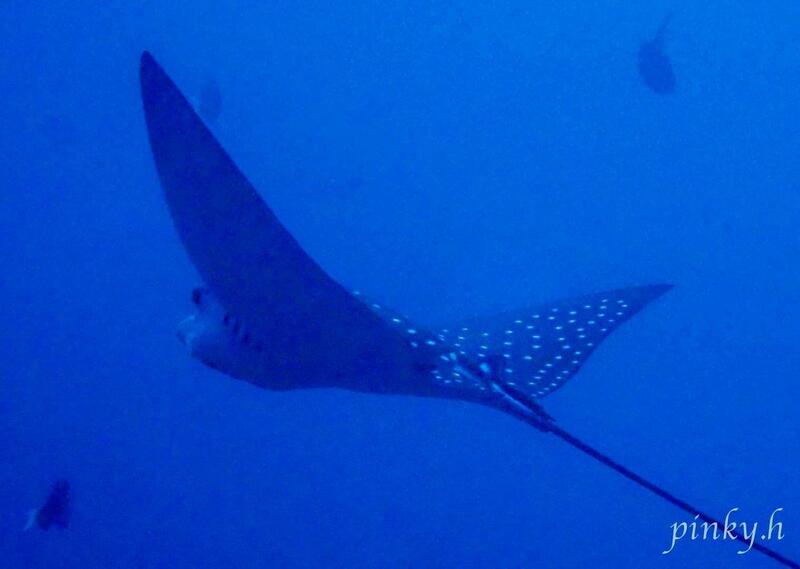 Mantas and whale sharks are often sighted. 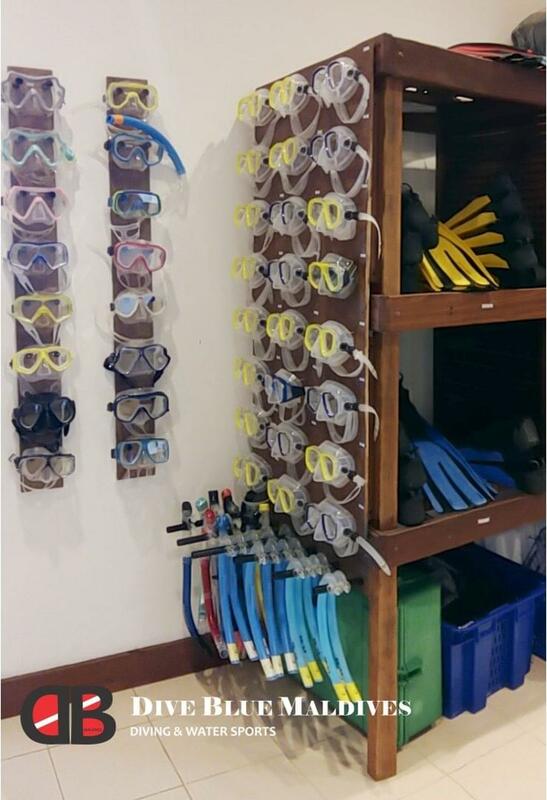 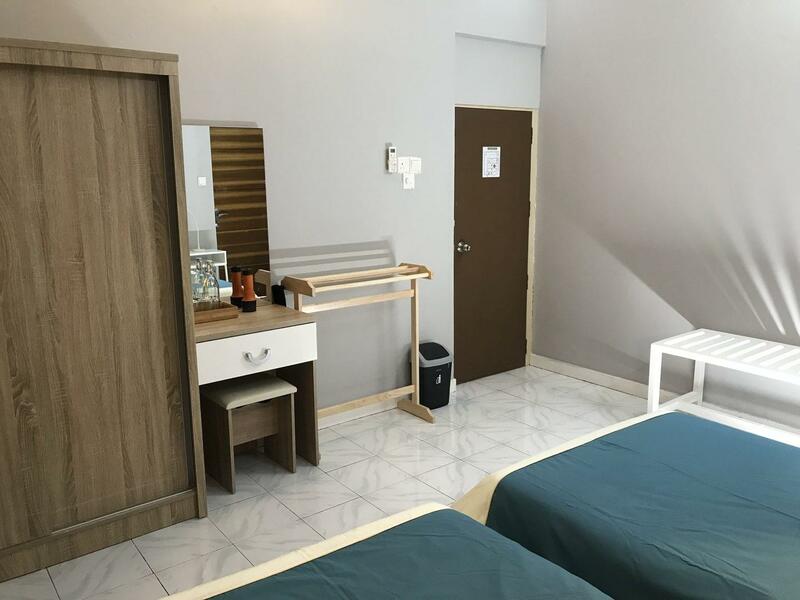 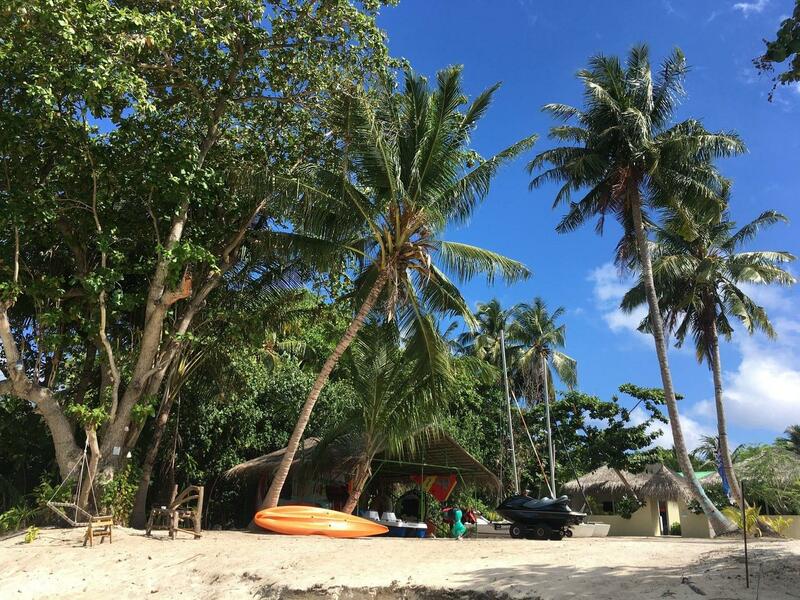 As a PADI 5* center, facilities include a classroom, storage area, rental equipment, WiFi, shop and fish ID and diving library. 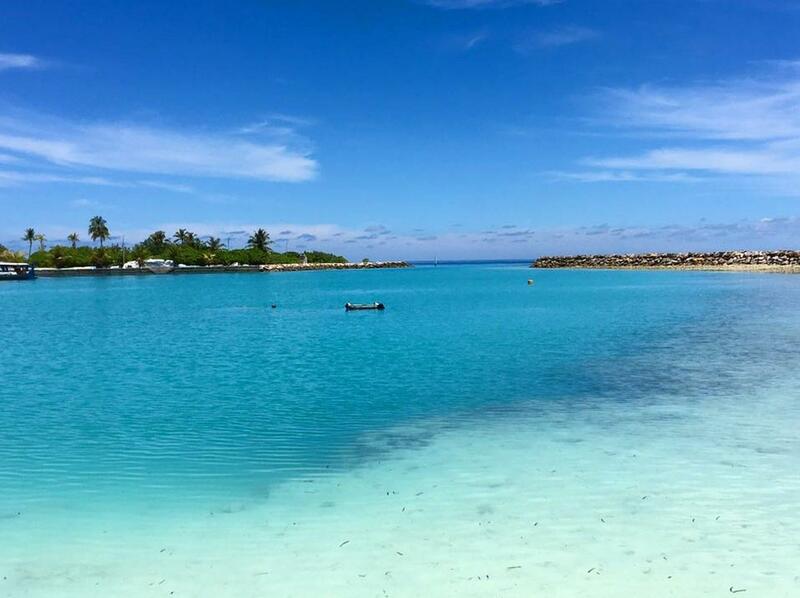 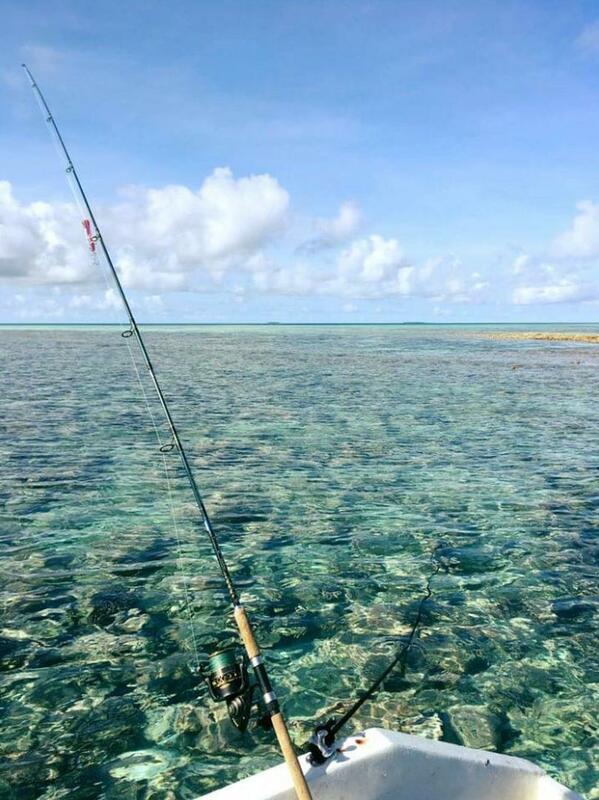 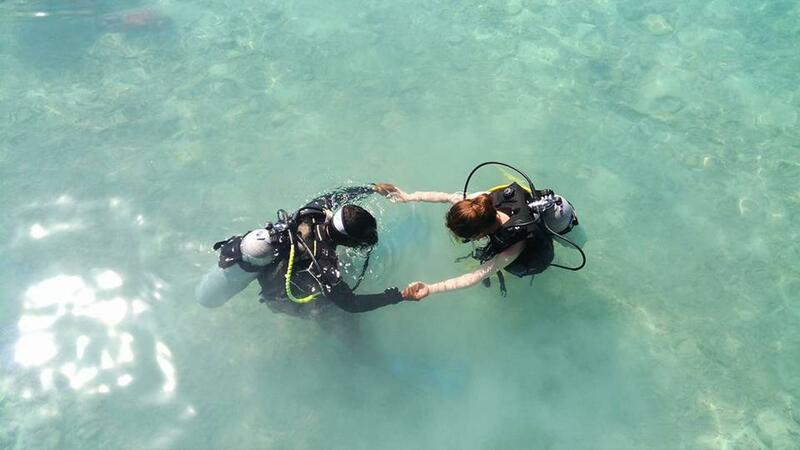 The house reef is easily accessed and a lagoon is available for confined water practice. 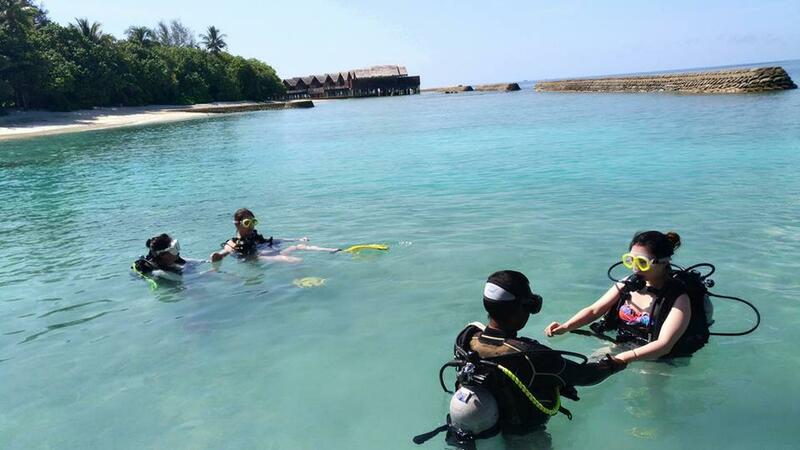 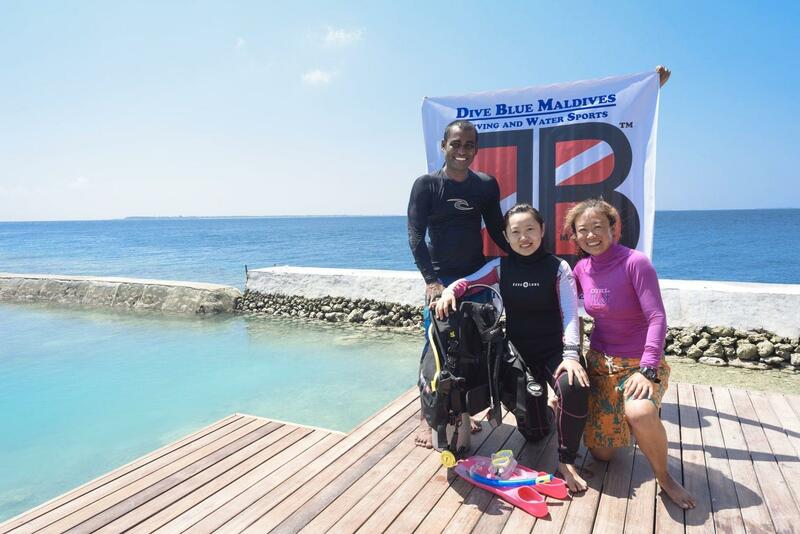 A full range of PADI recreational courses are offered, including kids training and free diving or Nitrox specialties. 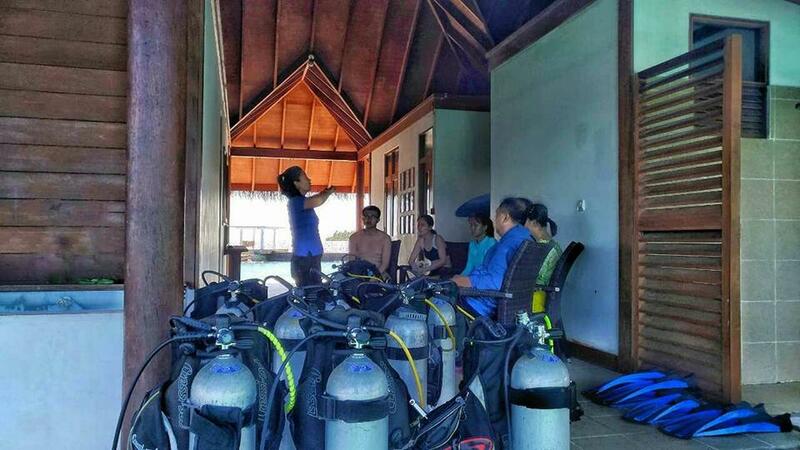 Courses are taught by multilingual, experienced dive instructors. 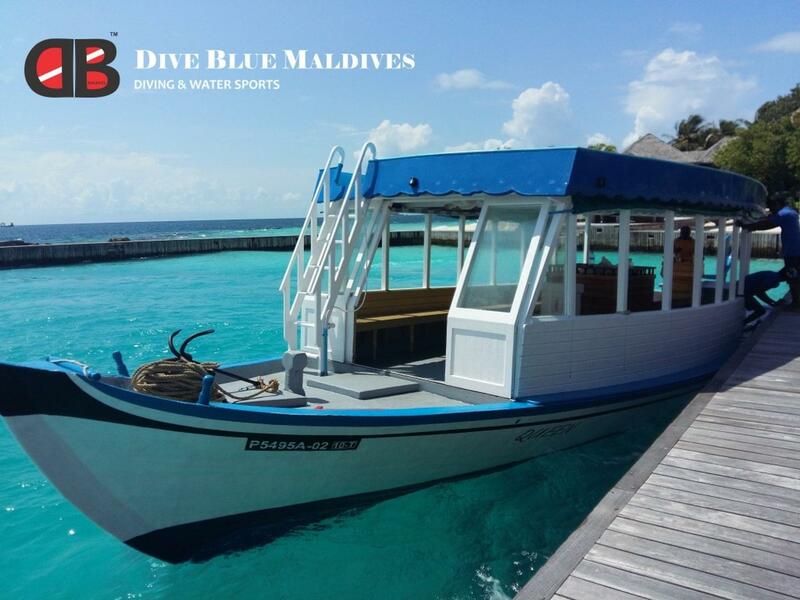 A large, traditional style dive boat is moored outside the dive center. 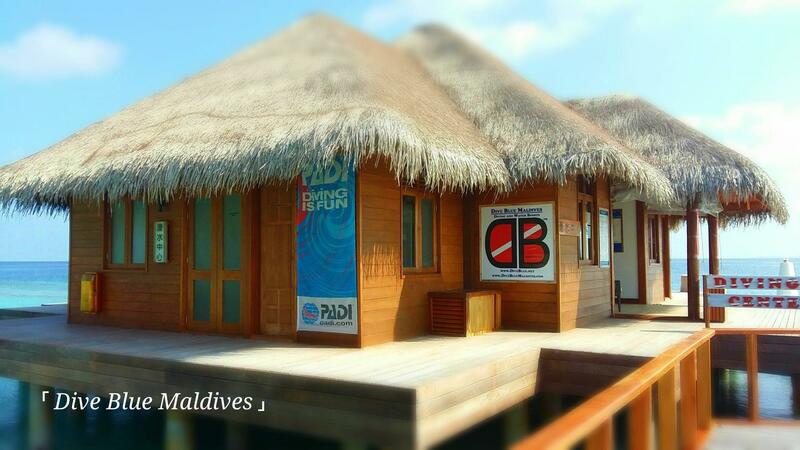 It is equipped with refreshments, first aid kits, emergency oxygen and an experienced captain. 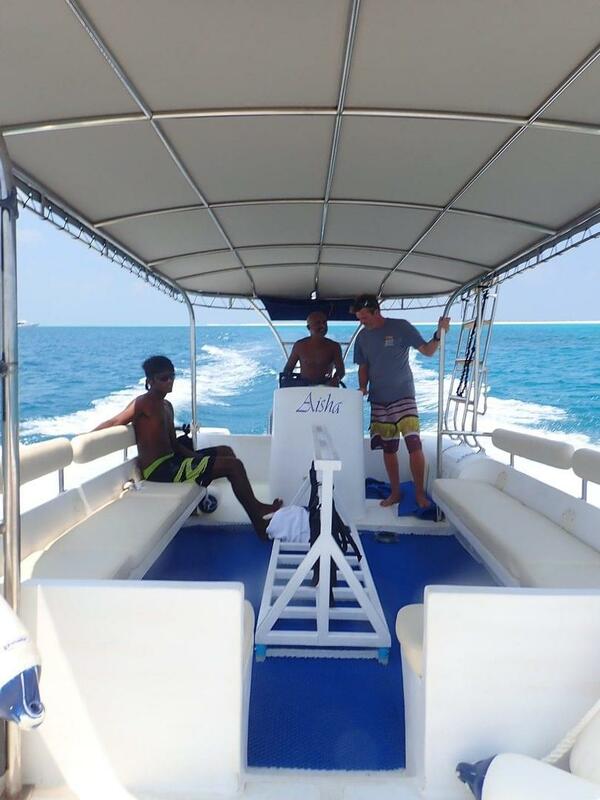 Speed boats go from Mali City to Dhigurah Island daily. 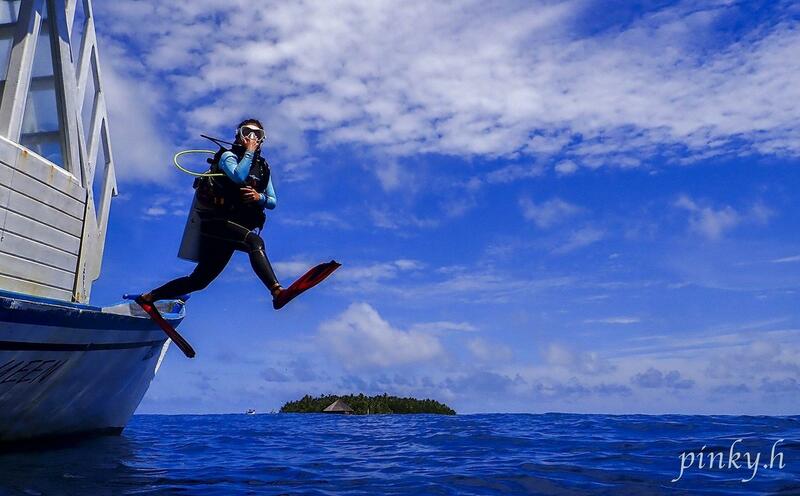 Alternatively, you can catch a domenstic flight to the island. 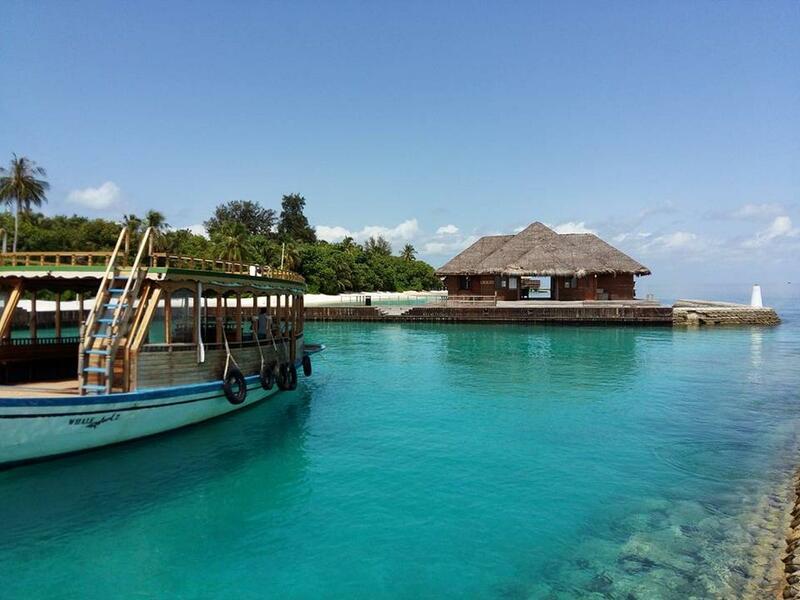 Having checked out, you can return to Male via domestic flight or speed boat. 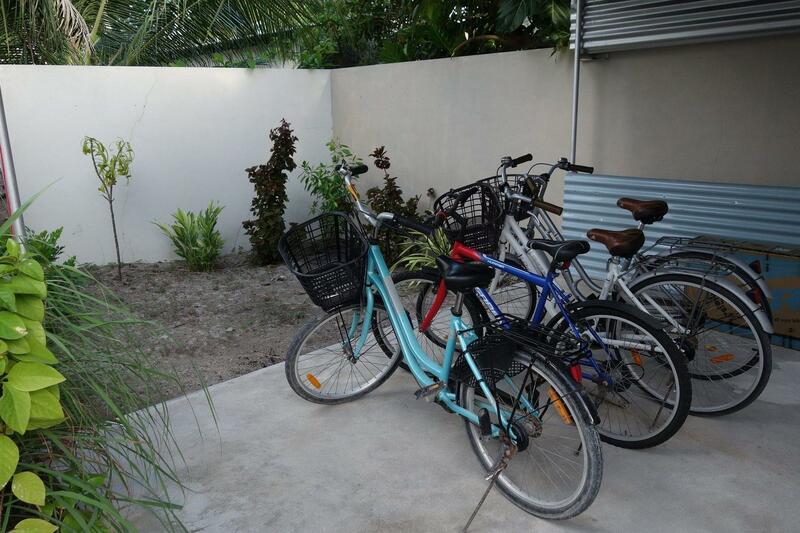 Additional costs are involved in the transfers.